Following the sale of Sadio Mane to Liverpool, it’s rumoured that Southampton are interested in the services of West Brom’s Saido Berahino. Stoke are also in the hunt for a new striker, so let’s check out the possibility of a move. A £16m price tag is a premium price for a player who has faced problems in the past, but he’s still the same striker that scored 14 goals in the Premier League in 2014-15. He’s always going to improve over the next few seasons. With just a year left on his contract, it makes sense to cash in on the striker. 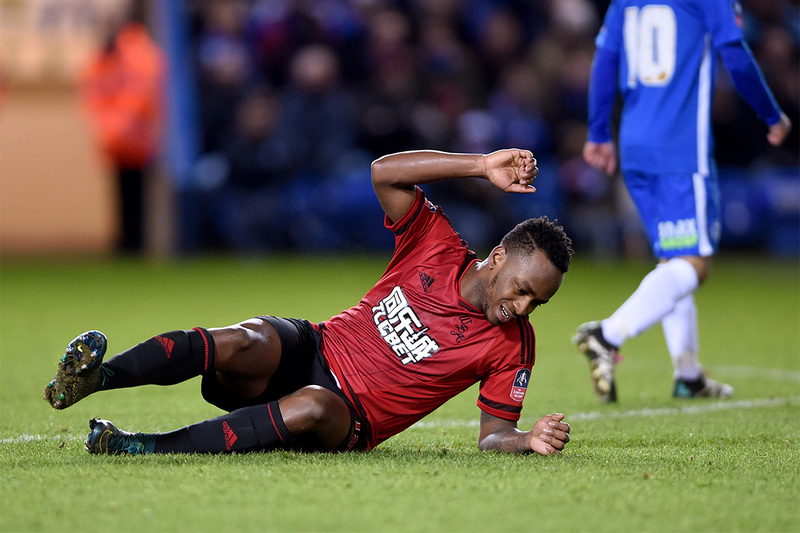 So what’s next in the curious case of Saido Berahino? Stoke are said to be interested in a deal for the former England U21 player, and there’s hope that a bidding war could be sparked by his potential suitors, which include Everton and West Ham. It culminated with Berahino refusing to play for the chairman Jeremy Peace, in a tweet that probably still haunts the player to this day. He eventually returned to the fold, but he had a disappointing season where he struggled to find the net despite featuring in over 30 games. Four goals in the league isn’t a good return considering what was expected, but it’s somewhat understandable considering the circumstances. Manager Tony Pulis said that over 15 teams registered their interest in the player after he handed in his transfer request, and there’s a sense that the Baggies are resigned to the fact that he’ll be leaving before the window slams shut. “I’ve told Saido to come back for pre-season as fit as anybody to make sure, whether he stays, he plays at the level that everyone knows he can play at. If not, and he leaves, then he is in good health for another club. The manager seems to have made his peace with the player leaving, and his language suggests that they’re more than open to bids for the player. Despite a lower index score of 1.7 (out of 5) a move away does look likely. Berahino has a chance for a clean slate, although it’s unlikely to come at Tottenham. (Despite the rumours persisting until March 2016.) Southampton would be a great place to get started, although it would be easier to sign for the club if they actually had a head coach at the moment. Former Nice manager Claude Puel looks likely to be named as the replacement for Ronald Koeman, and it’s hoped that he can help the club to sustain their status as a team in the top eight of the league. The player is said to be open to a move to the south coast, so it could finally be time for Berahino to consign his time with West Brom to the past. Sometimes things just don’t work out in the way you would like them to, but the player is sure to be hungry for success, no matter where he ends up at the start of the season. With the loss of Mane to Liverpool, there’s a chance for him to stake a claim for a position in the first XI if he does make the move. Stoke are also said to be in talks, with the Daily Telegraph reporting that Mark Hughes has made Berahino his number one target during the window. West Brom are said to be looking at Atletico Madrid striker Borja as a replacement for the wantaway forward, as reported by the Daily Mail. (The Baggies are keen to secure a replacement before letting the player leave.) It’s clear that Berahino is a busted flush at their squad, and they’re hopeful that a bidding war will ignite for a talented forward that has a lot to offer. With so many Premier League clubs interested, the player is likely to have a host of teams to choose from, even if they can’t offer Champions League football and everything else that would have come with a big money move to Tottenham. The Football Whispers index keeps you up to date with all of the latest transfer news. It looks like it’s time for Saido Berahino to call it a day at West Brom. Is Southampton the right place to rediscover his form? Are the club taking a risk? Let us know what you think in the comments below!